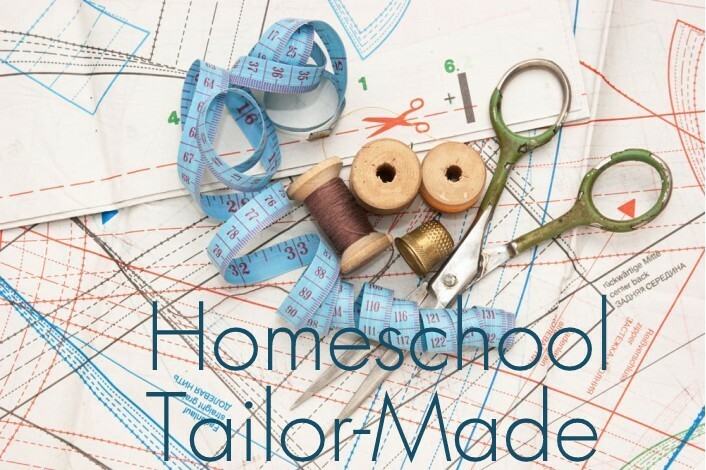 If I asked you if you ever had anything “tailor-made”, you would probably say that you were not rich and famous enough, or that a mom or granny had made something just for you. It would probably be really unique and make you feel really special! Homeschooling allows for this kind of perfect fit and delight! 1. Outline your basic subjects – I use a simple “House Model” picture and fill in subjects, books, ideas and activities I have in mind. This gives me an easy overview. When planning, include all the basic subjects required by state regulations, adding extra subjects where necessary. Some first-time homeschooling moms may find mastery lists that outline what your child should know and master for their age and grade as a good guide. 2. 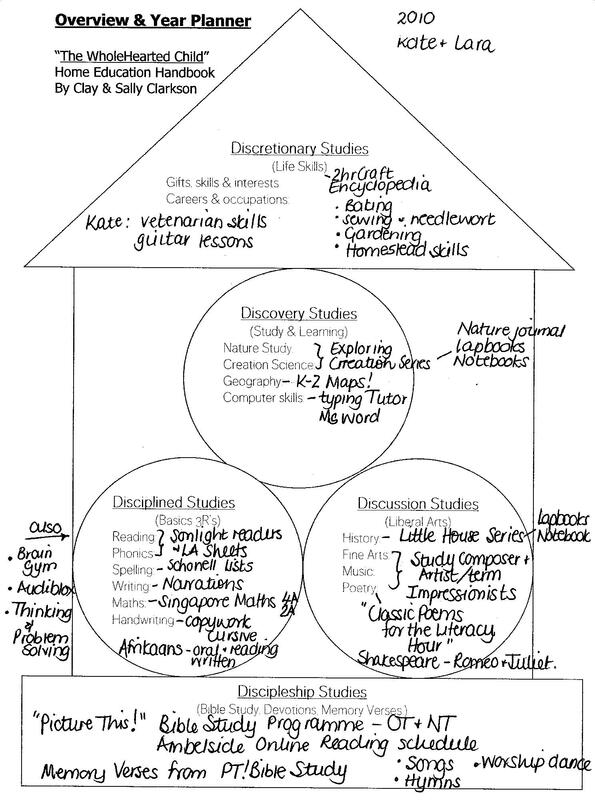 Discover your child’s learning style and your teaching style – Homeschoolhelper.com has clear definitions, explanations of the different learning styles with practical teaching suggestions. 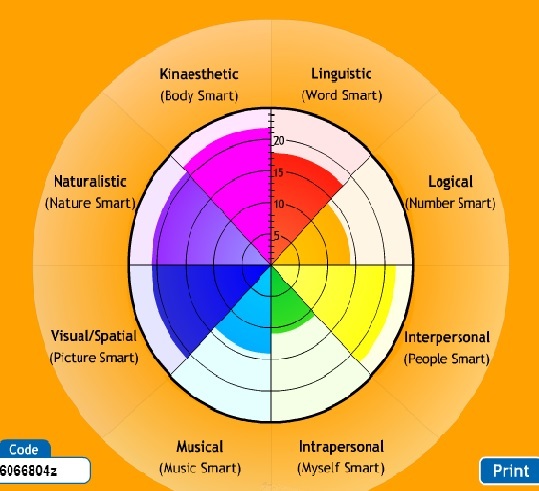 Multiple Intelligences has an online quiz for kids and adults and generates a clear pie-chart of your test results. You and your child can clearly see strengths and weaknesses. Now, consider your own personal loves and hates in teaching styles and AVOID those curriculums and approaches! These will burn you or your children out! It’s no good preparing fiddly, artsy projects if your lack of space and patience or temperament will make you dread school! Find those subjects, methods and activities that will ignite your child’s delight and interest and focus on those. 3. Discuss and look over options together. This is more important as your child moves into middle school, and especially towards junior high. High school choices require a lot of collaboration with your maturing child. Once you have an idea of your child’s interests, discuss specific subjects, topics and options. Check with your child each year as they mature. They may have loved doing lapbooks previously, but may now find them frustrating and boring. “Do you want to continue with Bible Draw? Old Testament or New? Old Testament. Maths – Are you still okay with the workbooks? Sure. But I really love using my compass, protractor and set square set. You enjoy Geometry? Good, I’ll see what other fun stuff we can add once a week! Spelling – Do you still want to work with our lists? What about this book? NO. Okay. And Spelling City games and tests? Yes. Great! I’ll upload this year’s lists. What would you like to study for Science/ Geography/ Social Sciences? I may suggest ideas I had initially jotted down and we delve a little deeper, browsing through books I have on hand so that she can better see the activities and ideas that could be fun. 4. Find, plan and prepare the actual subject material – Now I spend some time “shopping” from my own bookshelves and used curriculums. Also, I spend time on Pinterest browsing and I search the Internet for free downloads. My homeschooling materials have seldom cost me anything more than my printer’s ink! Some years, we may purchase one or two products, but I almost never ever buy full packages! 5. Follow the sparkle and delight! Remain flexible and adaptable. Add plenty of time to take scenic routes, detours and rabbit trails! Follow your child’s interest and involvement. You can always stretch a 12 month curriculum over 18 months! Be humble about stuff that doesn’t work and gently lay aside the themes, topics, activities that don’t work. If you homeschool several children on the same core (which I highly recommend), allow for individual choices. Give them options. I may suggest 3 or 4 activities and they chose the one that they prefer. I love to let my child take the lead! It has empowered her and released me from my “teacher-knows-it-all” ways! This last year, my daughter was utterly delighted with her tailor-made package! After I laid out her books, projects and her school file and went through it with her, she jumped up and hugged me and said, “Thank you! Thank you! Thank you,mom! I’m so glad you are my teacher!” It made my whole teaching career! It has been a joy to teach and facilitate her in her own learning. If you have a child with unique, special interests, or a child with learning challenges and difficulties, homeschooling is the perfect solution, only IF you tailor-make their schooling experiences. A “slow” learner will thrive at his own pace. A child who hates and struggles with writing can record, video-record or demonstrate his learning without tedious notes and workbooks. Find ways to make your child’s education fit their style, interests and strengths. I love the idea of the house model-there are so many good ideas and things to do- to get it focused on a few core items is great. Where did you get your copy to fill in? @Helen, I created my own version using the concept from The Wholehearted Child by Clay Clarkson, which is a free download, along with other Planning Pages under my Free Pages tab. Blessings! Your blog has been a breath of fresh air tonight. I am so inspired by it all, but wonder how we will ever get to our own happy place. My boys like art, but not the journey, and want to get things DONE, so they can go! I’m just not sure how to slow them down, when that’s what I’d love to do with them. I know it doesn’t help that my toddler makes things busy and messy and everyone feels rushed…. But thank you. I have been reminded to look at the Clarkson’s book again and see how we can incorporate that into our sonlight days. @Lisa Cho, I’m grateful my post encouraged and inspired you. As our children grow through their “ages and stages” we have to adapt and modify our approach. My youngest went through a phase of hating art! I had to try a different, less “risky” approach and now she has relaxed a lot more and enjoys short, simple Obsorne art lessons. Pop over to see my post New Art Fun and More Art Fun. A busy toddler can be a challenge to any plan, so busy bags, a small table to ‘work’ at and pacing your lessons around naptime and quieter moments might help. Blessings!